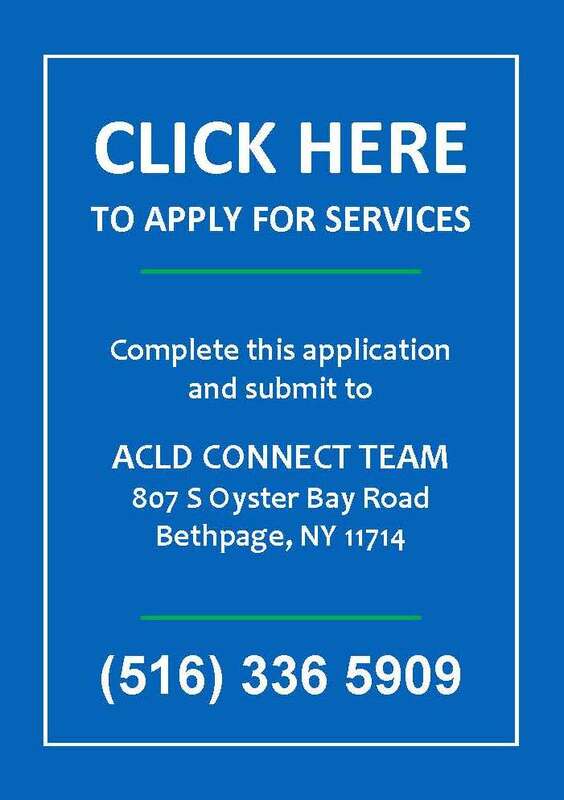 ACLD’s Vocational Services Program assists people with learning or developmental disabilities in developing fulfilling careers, widely considered to be an essential ingredient in building an enviable life. The Vocational Program focuses on assisting each person to achieve his or her unique employment goals thorough diagnostic vocational evaluations that incorporate naturalized settings and supported employment services, including job development, job placement, job coaching and travel training. Career development and advancement is emphasized utilizing various PACE (Partnership for Advancement and Choices in Employment) Initiatives to facilitate promotions and upward career paths for our workers. For students with disabilities (under 21 years of age), services are determined by an Individualized Education Plan (IEP) that is written by the referring school district’s Committee on Special Education (CSE). For people who have transitioned from high school, services are available to those who meet eligibility requirements from the New York State Education Department of Adult Career and Continuing Education Services-Vocational Rehabilitation (ACCES-VR) and/or the Office for People with Developmental Disabilities (OPWDD). An individualized program consisting of testing and real work assessments. It is designed to determine a person’s abilities, interests and needs in order to identify realistic work goals and employment outcomes. ACLD’s evaluation is comprised of a combination of comprehensive written tests and community-based/school-based individualized situational assessments. We provide personalized assistance with the goal of job acquisition. Assistance is provided in resumé development, performing job searches, practicing and participating in job interviews and negotiating job offers. We provide personalized, on-the-job training to people with developmental disabilities in order to ensure competence with all job duties, understanding of and compliance with employer expectations, and the development of naturalized supports. Each person receives the level of job coaching necessary to support success on the job. A comprehensive travel training offered to people upon job placement, if needed. Travel training involves the job coach identifying the best travel route for the person, evaluating his/her ability to travel independently and providing on-site training until he/she can independently travel to the work location site. As one of the largest supported employment providers in New York State, we have successfully placed over 500 employees at 100 different companies over the past 10 years. We work with highly motivated and qualified candidates, matching them with an appropriate job opportunity. Our Job Coaches support people throughout their employment with on-site training and job advancement.